HUGE THANKS to all of Our Very Generous Sponsors! download the Sponsor Forms. Thank you! Established in 1944, ICAFe, Inc. has become one of the largest and well-respected distributors of industrial finishing equipment in Wisconsin and northern Illinois. The company, with headquarters in Waukesha, WI, is in its third generation of family ownership. The company continues to grow and expand into new markets by being forward-thinking, maintaining positive customer-client relationships, and embracing the creativity of its dedicated staff. Hi, our name is elephant. We're Elephant Marketing & Media and we're here to help you make some noise and leave a lasting impression with your audience. Not every company needs or can afford a full-time marketing department to help them stay in the spotlight! Elephant Marketing & Media can be your on-site partners when you need or it, or just an on-call consultant; it's your choice and it's complete customizable. We work for you. It's time to think big and be heard! dog with a mustache is unique and creative -- it's artistry with a flair. Whether fine jewelry, prints, greetings cards, or bumper stickers, our products are about dogs and their people, with part of every sale donated to rescues and shelters across the country. So please help in supporting our items, and joining us on Facebook, Instagram, Twitter, and Pinterest. Since Nov. 2015, our company has donated $6959.85 in cash and products to dog rescues and shelters across the country! We opened our doors in September 2006 with nothing more then a shelf of Wellness™ and a freezer filled with raw diets. 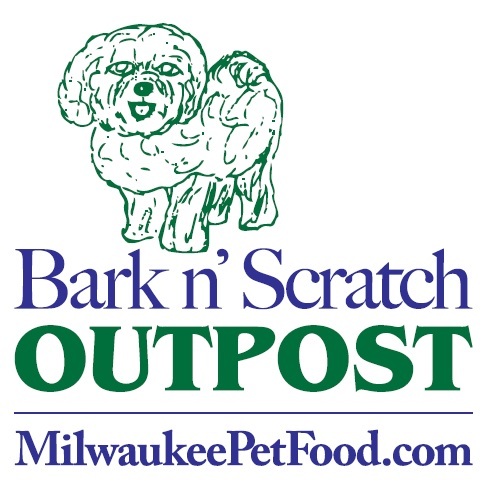 Bark N Scratch was founded because of one special dog, Snowbelle Bagwell. If you’ve stopped in the store before, chances are you’ve heard the story of Snowbelle and her allergies and how at one year of age the vet said to euthanize her, that she was no good. Store owner Carrie Marble started her search to find something that would help comfort her poor little Bichon. After months of trying many different varieties and combinations of food including all natural kibbles and canned diets, Carrie came across the raw food diets which was exactly what Snowbelle needed. Since then Carrie has dedicated herself to helping people learn about the value of high quality foods and how a species appropriate diet can help your animal. Today the little store has grown immensely. We have a warehouse filled with kibbles and canned diets and 19 freezers of raw diets. As a family business, The Leist Group offers you the stability of a larger company with the high level of individualized attention of a smaller firm. We welcome you to visit us for a no obligation consultation. "The grass isn't greener on the other side, it's greener where you water it." Performing your job AND maintaining your company's brand can be tough to juggle. That's where we come in! Think of us as part of the team. From creating logos, brochures and business cards to keeping your website updated, we're here to help. Check out our portfolio page to see what we've done for clients in the past. Have a new job you'd like us to help with? Dentalaire's business has evolved over the years, we market strictly to veterinarians from USA, Canada, and all across the world. Our vast product line enables our customers to meet nearly all of their needs with one source. Our product line includes compressors, dental stations, hand pieces, instruments, dental x-ray systems, digital dental systems, restorative and endodontic products and more. We are also proud to assist in continuing veterinary education by sponsoring various wet labs and educational events throughout the year. FETCH Magazine examines the unique bond individuals have with their canine companions & attempts to describe the importance of their co-existence. Besides producing engaging content for our beloved readership, our deep rooted purpose is to help & support abused, abandoned, mistreated & homeless dogs within the local community. We publish several pictures & bios each issue from local rescues & humane societies hoping to encourage our readers to adopt a pet in need. milPAWkee Pet Photography is Milwaukee's premier pet photographer servicing the Southeast Wisconsin area. They offer studio and location photography of your four-legged best friends to give you memories that last a lifetime. Their love of animals helps them capture pet portraits that reflect the personality and spirit of each tail-wagging client. They also volunteer their services to local rescues and shelters, which helps homeless animals find their forever families. Benkowski Builders strive to offer clients the very best in rental properties, combining affordability with high-quality property maintenance and resident care. They offer a variety of rental properties to meet the needs of almost any occupant. Their rentals range from apartments to single-family homes and can be found throughout the greater Milwaukee area. Pavement Maintenance Inc. (PMI) is a leader in road milling and pulverizing throughout Wisconsin, Illinois and Minnesota. We have been improving roads and providing superior results though our dedicated staff for over 23 years.We have a highly experienced, skilled and professional team to help you achieve your road milling and pulverizing objectives. We complete our jobs on-time and on-budget and we look forward to discussing your specific needs with you. A HUGE THANK YOU to Sharon Rogutich for her generous "Easy Rider" Ride Sponsorship!